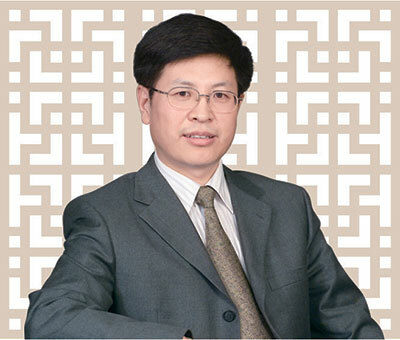 Mr LIU Wensheng is the secretary of the board of directors, the company secretary and the chief economist of CCCC. He also serves as the chairman of CCCC International Holding Limited (中交國際（香港）控股有限公司) and Friede Goldman United, Ltd., as well as the director of CCCC Dredging (Group) Holdings Co., Ltd. (中交疏浚（集團）股份有限公司). Mr LIU graduated from Dalian Maritime University (formerly known as Dalian Maritime College) with a bachelor’s degree in Engineering. He is a senior engineer. Mr LIU joined China Harbour Engineering Company Ltd. (中國港灣工程有限責任公司) in 1982 and possesses rich experience in operation and management. He served as the deputy general manager of CCCC Tianjin Dredging Co., Ltd. (中交天津航道局有限公司), the vice-chief economist and the general manager of corporate planning of China Harbour Engineering Company Ltd. (中國港灣工程有限責任公司) and the chief economist of CCCG. Mr LIU was appointed as the non-executive Director of the Company on 22 June 2015 and he was subsequently redesignated as our executive Director and was appointed as co-chairman of the Board on 15 January 2016.